we made our own homemade gift tags. & add a special touch to any present during the holidays. 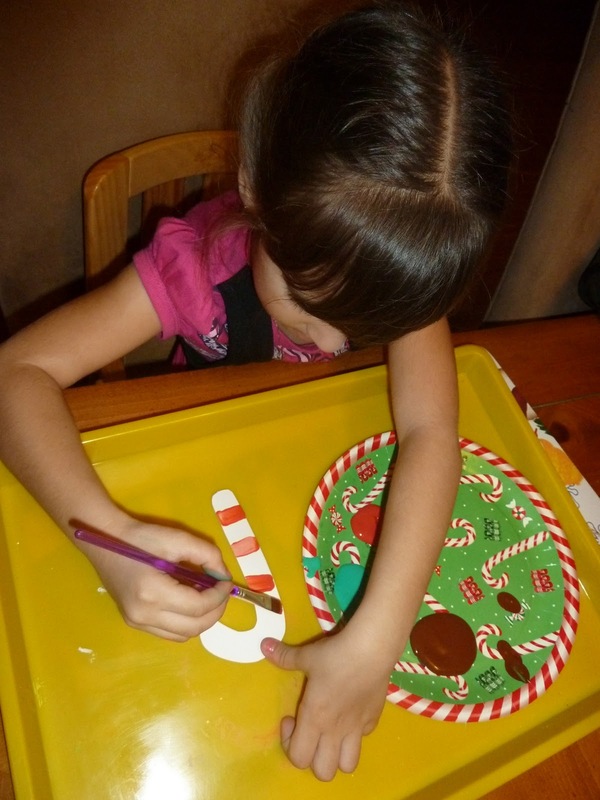 make a tree form and a thumbprint in brown paint for the truck. You can make these out of fingerprints by alternating white & red thumbprints. The Lil Divas wanted to paint theirs. Using thumbprints dipped in green paint we formed a circle to make a wreath. 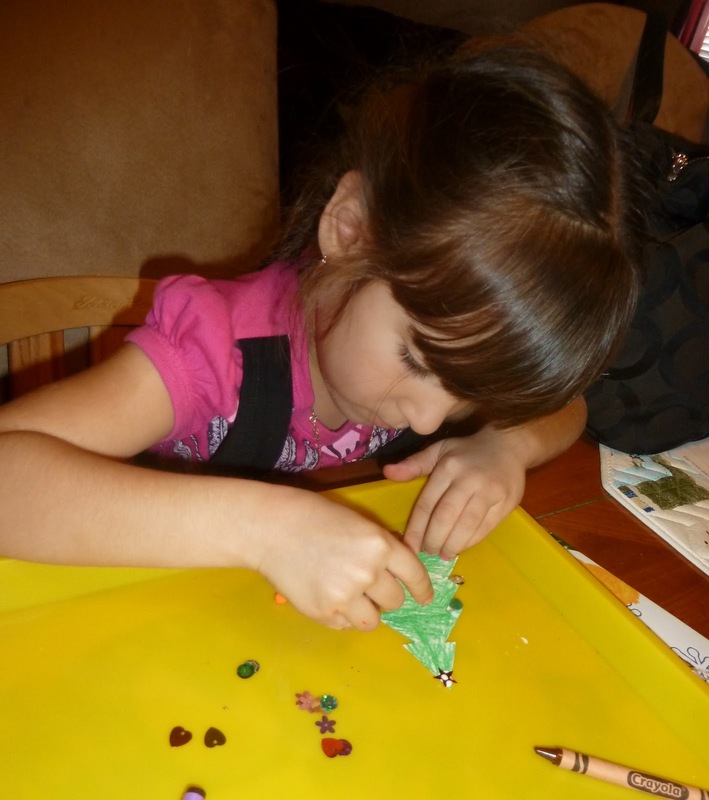 Then we dipped a pinky in red paint to make berries. Cute! which we later turned into a reindeer. using sequins, pom poms, etc. They also decorated their own ornament gift tags. I just let them do whatever they wanted. It is a little piece of artwork for whoever receives it with their gift this Christmas. Wouldn't you LOVE to receive one of these special gift tags on your gift? We also made some Fingerprint Cards this holiday season. We shared them over at Hands On: We Grow. Those look great! Your girls sure worked hard on them. THese gift tags are a wonderful idea! The receiver will be sure to smile! Very cute - we were going to make Christmas cards this afternoon but may do a bunch of these instead! I need to keep this in mind for next year. These are so pretty. These sure will brighten up the day for the receiver! 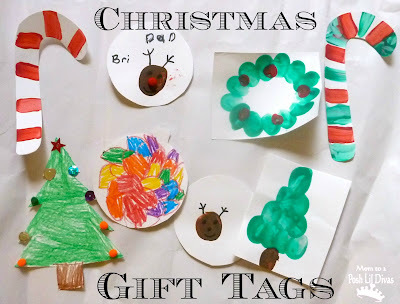 Great to make your own gift tags.. which reminds me.. we need some!! ARGH! these are so so so fun! I love them! Your girl have good art i wish she become artist one day.